SoccerTrainingInfo.com is a soccer portal that provides tips and ideas about how you can improve your game. 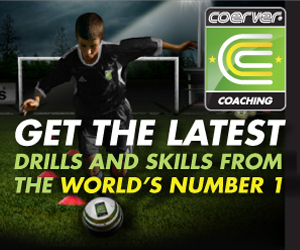 The main goal of the website is to inspire young players to get better and become the best soccer players they can be. We are a group of former soccer players who want to give back to the game of soccer. We want to share some of the knowledge, advice, and encouragement that we received when growing up and learning to play the game. For more information and the idea behind creating this site click here. 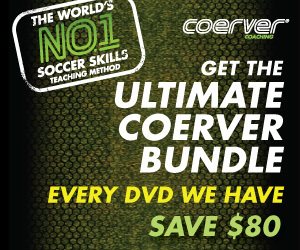 But a big part of this soccer website is about sharing soccer concepts and training ideas. So, if you have a practice plan or soccer tip, please pass it along. Maybe it's some advice that was passed along to you from a former coach or player. Perhaps you learned something from an older soccer player you modeled your game after. We'd love to hear it. Please share your soccer knowledge and experience in the game. Lastly, one thing that's become clear recently is how big an impact soccer parents have on their kids playing the game. Just showing young kids how to control and dribble the ball at a very young age has a big impact on their future development in the game. Getting your kid comfortable on the ball and showing them different soccer skills will give them confidence and lead them to enjoy playing the game much more in the future. And you don't have to push your kids too hard either, just have fun playing the game with them and they too will start to love the game. The best soccer players in the world are those who fell in love with the game of soccer and learned how to control, juggle, and dribble the soccer ball at a very young age. Many times it was a brother or sister or their parents who showed them first how to do different soccer skills or tricks on the ball and then they became obsessed with mastering the soccer ball on their own. Also, if you run a soccer camp, store or tournament, please let us know and we'll add it to our directory pages. There are fees for certain listing but we can usually work out a fair price for a long term listing.